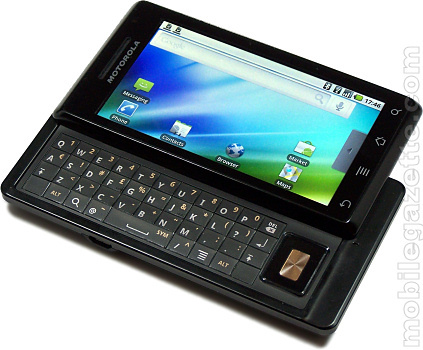 A powerful Android smartphone, the Motorola Milestone was announced in November 2009, following shortly on from the US-only Motorola DROID. 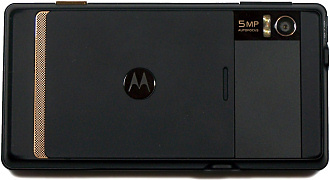 Along with the Motorola DEXT, the Milestone represents a significant new chapter for Motorola. 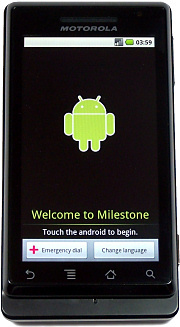 The Milestone is an impressive device, and it is undoubtedly a nice thing to own. But it does have some problems which may just be enough to tempt you to look at the rival Apple iPhone 3G S or Nokia N900 instead. Strong points included the excellent display, robust feel, flexible Android software, capable GPS and fast processor, weak points were the shocking lack of tethering capabilities and the poor camera. 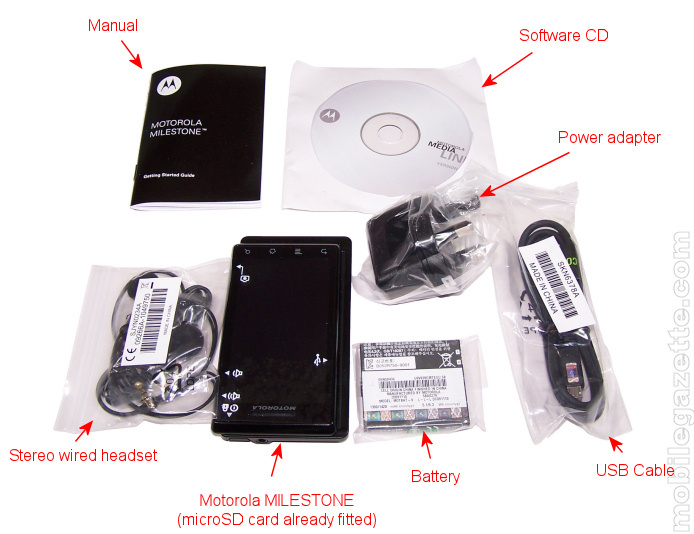 There's not much in the standard sales package, the Milestone phone itself contains a microSD card (8GB in the case of this one), plus a BP6X battery, a USB cable that also charges the phone, a power adapter to plug the USB cable into, a stereo wired headset, a software CD and a small manual. The box contents do not include a carry case, stand or stylus (in any case the Milestone does not work with one), so if you want these they will need to be purchased separately. It's a fairly unexceptional device to look at, a thick black slab of a phone. It isn't particularly big, but at 170 grams it is surprisingly heavy. The reason for this weight is partly due to the large screen and the slide-out QWERTY keyboard, but a closer examination seems to show that there are quite solid plastics and metal components in the phone, giving it a feeling of quality engineering. Flip the phone onto its back, and it's a fairly plain design with an "M" logo and the 5 megapixel camera and flash tucked away discretely in one corner. A tight-fitting cover hides the large battery, SIM card and the microSD card which annoyingly isn't hot swappable as you have to remove the battery to get at it. Overall, the Motorola Milestone has about the same footprint as the Apple iPhone, but it is a couple of millimetres thicker and 25% heavier. The Milestone looks more utilitarian though, lacking the sleekness of Apple's design. Conveniently, the Milestone will fit into many cases designed for the iPhone with a bit of a squeeze. The slider mechanism is quite stiff, but feels robust. Underneath is a small QWERTY keyboard with a retro looking navigation pad. Sliding open the keyboard automatically changes the screen orientation from portrait to landscape. The 3.7" 854 x 480 pixel display is strikingly bright with very high contrast. It is very easy to use and frankly is one of the best things about the phone. It's a multitouch display, so for example you can zoom into a web page by touching the screen with two fingers and then pulling them apart. This takes a little getting used to. Because the Milestone doesn't use a stylus, the screen does tend to pick up fingerprints - but not very quickly, and it is easy to wipe it clean. Underneath the screen are four touch sensitive buttons for "back", "menu", "home" and "search" which vibrate slightly when you press them. At first, you will find that it's very easy to press these buttons by accident, but practice with the phone makes it less likely. We mentioned before that the Milestone is surprisingly compact. 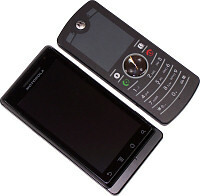 Although it is obviously bigger than a standard phone, it is still a very pocket friendly device. Some sort of case or protective cover on the screen will probably be a good idea, as we suspect that bringing the lovely touchscreen into contact with sharp metal objects will pretty much ruin it.